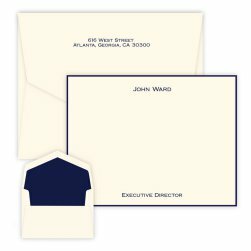 I've used Embossed Graphics for years! Back in the day, I used to manage a gift store. 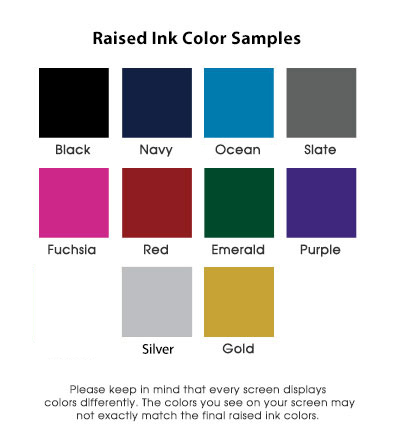 I sold tons of Embossed Graphics for wedding invitations, stationary, napkins, etc. I bought it for myself as well as for my husband. I love its quality and looks. It's very handsome. 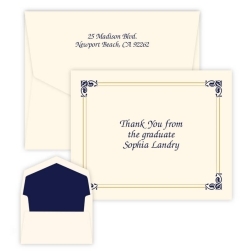 The Sydney Monogram Card features a lasso-inspired lettering style. 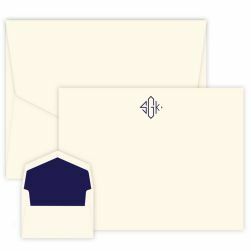 Three initials are charmingly printed in raised ink on triple-thick paper. Includes 25 Pinnacle envelopes. Add a border for extra flair.